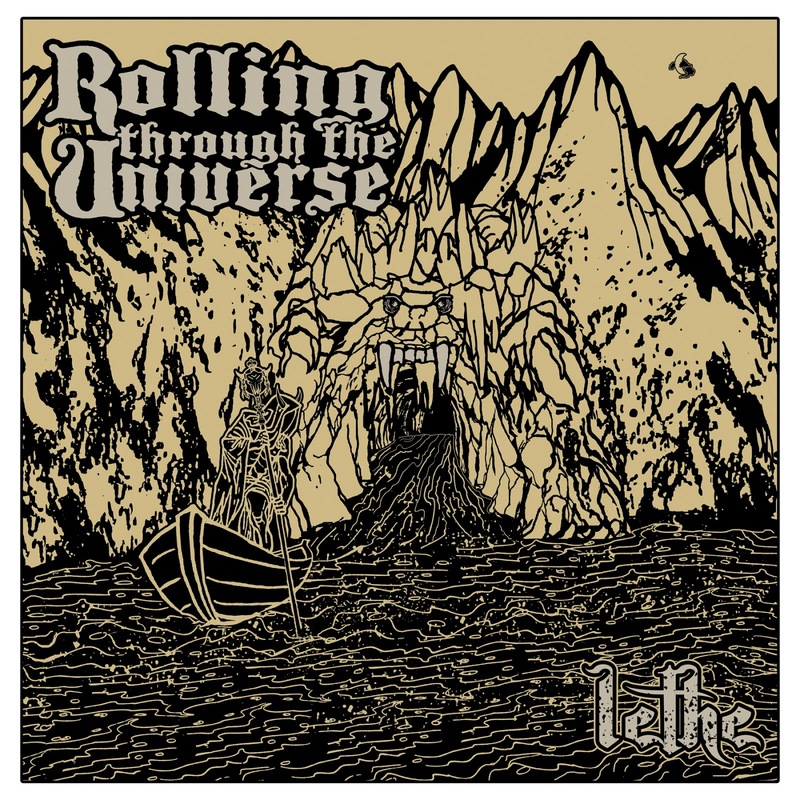 As the first album to come from Rolling Through The Universe since the departure of co-founder Mitch Meidinger (and the subsequent addition of a new drummer and bassist), Lethe has some high standards to meet. While there's certainly some change-ups in the band's chemistry, the resulting mix is one that works quite well, and there's no sign of roughness or disconnection in the new line-up as they conjure up their deep and powerful doom metal. The forceful command of the riffs, the wide range from drummer Noah Leen, and the sustained experimentation with how best to fuse the dark sounds of the bass and guitar are the most prominent examples of how well the finished album works, though there's plenty of substance waiting underneath to encourage repeated listening. At times, there's comparisons to be made to Opeth's first few albums, based mainly on the somber grandeur of mood and the handiness with which RTTU achieve that dark richness without over-indulging. The music doesn't really break into fantasy metal arpeggios or bog down in full-on funeral doom creakiness, but the song-writing's fondness for elaboration and examination of the riffs incorporates outside elements into the core doom with fiery style. The management of the music's energy is another thing for which the the band deserves high praise, as they start out big (with the ~9-minute title track) to get listeners in the massive-doom zone, give 'em an extra dose with "Fall of the Corona" around the same mark, then drop down to about half that for the next three tracks ("Antithesis", "Claw of the Conciliator", and "Centrifuge"), each of which escalate the intensity. With "Centrifuge" spinning up to a keening guitar solo towards its mid-point, then dropping back down into an exhausted-sounding dirge, the stage is set for the biggest song on the album to act as the closer. "Subject of Discord" takes that position seriously, putting still-bigger riffs to work along-side some exquisite restrained shredding from the lead guitar and top-notch work from the drummer. 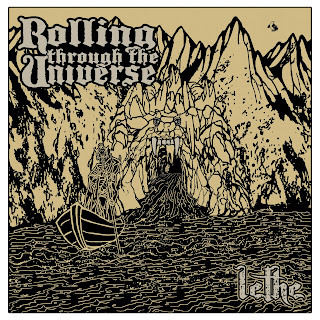 Lethe is an extremely solid album, and I'm hoping this incarnation of RRTU will stick together long enough to put out several more. Hidden Temple Records is handling the release, with CD and digital copies out now, and the vinyl to come in late August. Atmospheric doom metal fans, do not miss out on this one.